The park has proposed a mass-killing of around 1,000 bison to prevent the migration of the animals into Montana. Recently Yellowstone National Park has proposed a mass killing of wild bison this winter to reduce the animal's natural migration into Montana. Since 2000, the bison population of Yellowstone has been controlled through selective slaughtering per a federal agreement that states their numbers should remain around 3,000. According to the Associated Press, the buffalo population reached nearly 5,000 animals this summer, much higher than comfortable targets. Historically, bison can spread a disease called brucellosis to livestock, and it is mainly for this reason that the state of Montana has an agreement with the federal government that allows the killing of the animals to prevent this spread. Brucellosis can cause pregnant animals, particularly cows, to miscarry their young. Additionally, Montana ranchers fear that a large influx of bison would overgraze lands they need for feeding their livestock. If the proposal is approved, hunters would be able to hunt several hundred of the buffalo for sport. The rest would be slaughtered for the meat industry and the few left will supposedly be captured for scientific research purposes. The killing would place an emphasis on calves and females in order to curb population growth from increasing further. However, it is not yet set in stone. Yellowstone park officials are still waiting to meet with local Native American tribes and federal officials to come to a concrete agreement. That being said, these methods of population control have been used for 15 years, and the federal agreement allowing them has been controversial from its conception. Yellowstone National Park is no stranger to public opposition to these population control methods. In fact, on the FAQ of their website they outline why this culling, or removal of buffalo, occurs each year and how. 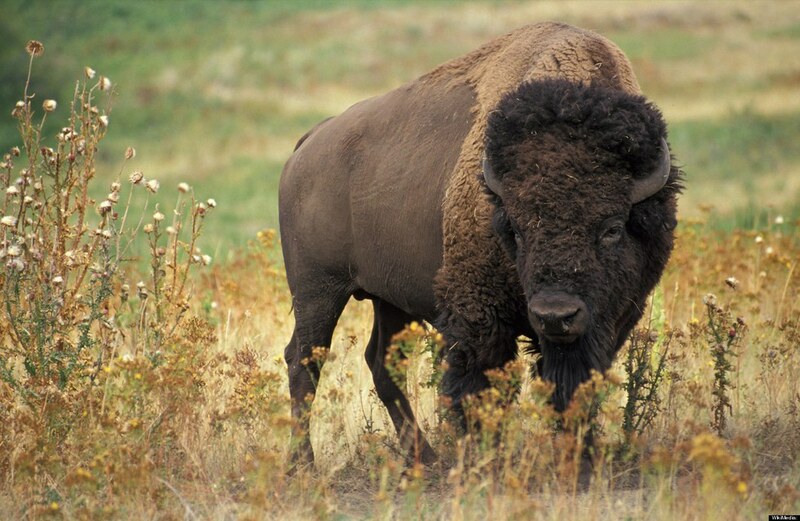 Essentially, the culling of bison is required by the agreement with Montana, and not done because of environmental factors within Yellowstone itself. Many people suggest that the animals simply be allowed to be hunted for sport as a means for controlling the population. The Park Service explains that hunting is illegal within the park, and that hunting buffalo in Montana only reduces the population by around 300 each year, and, "a panel of expert scientists reviewing bison and brucellosis issues in 2013 concluded that culling or removals of bison, along with hunting, would be necessary to limit the size of the bison population." All hope for the animals is not lost, however, as weather is a crucial factor in their migration pattern: fewer bison will leave Yellowstone for Montana if snowfall is lighter, and the fewer that leave, the fewer that will be killed.